With the final DVD of the year being released, it's time to look back over the year and rank them from the worst to the best. The only criteria is that the DVD has to have been released in stores in the United Kingdom. There was a huge DVD set revealed by Sam Wilkinson over Facebook, but that won't be featured as it wasn't in any stores. This was an absolutely disgraceful release. You got Percy's New Friends, Up, Up and Away! and a few bonus features. That's it. And Smyths Toys was selling it for five pounds! 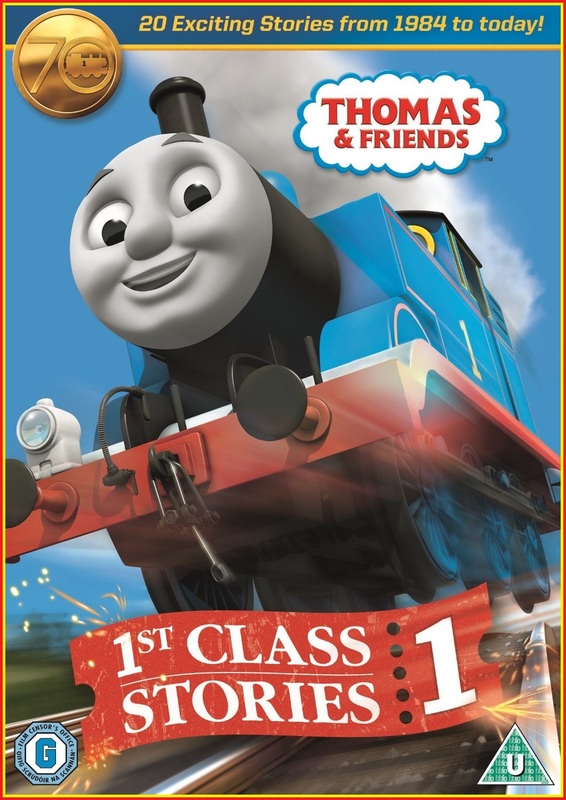 Sure, you could get it for free if you spent over £10 on Thomas merchandise, but this was redundant in every sense of the word. The sad part is that HiT have actually sold a 2 episode DVD really well in the past. 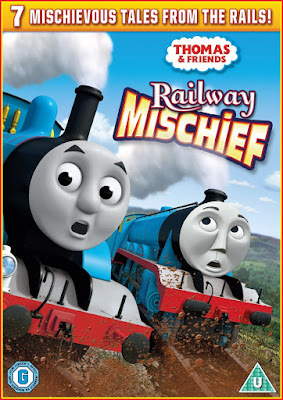 Woolworths and the Daily Mirror gave away two Pack episodes (Jack Owns Up and Percy's Scary Tale), as well as three music videos, on separate occasions, and that was brilliant as the content had never been seen before on British shores. Had they done that with this DVD, it might have actually had a purpose. Thankfully, it's not available any more, but it doesn't take away the fact that this release was the epitome of a cash grab. Truth time: this blog post was completed on Halloween afternoon. Every entry on this list was decided, and my thoughts were written out. I completed it that early because I didn't think that any other DVDs would be released, and I've waited until now to release the post in case HiT released something on the fly. So imagine my surprise when this came along on November 2nd. The UK is no stranger to re-releases. The Classic/Complete Series DVDs (series 1-7 at least) have been repackaged multiple times; the last of which included remastered episodes of the first three series. But no re-release has ever taken away content... until this one came along. 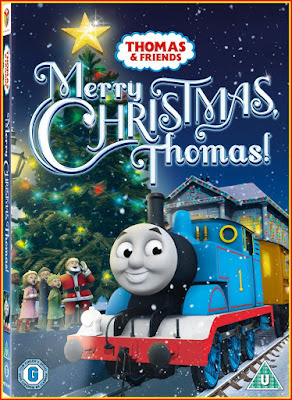 As you'll recall (or not; I highly doubt anyone looks back on series 16 fondly, especially now that series 19 is slowly surfacing), Merry Christmas, Thomas! was released at a time where the DVDs were being criticised for not having enough content on them and festive episodes were criticised for replacing Christmas with "winter holidays". 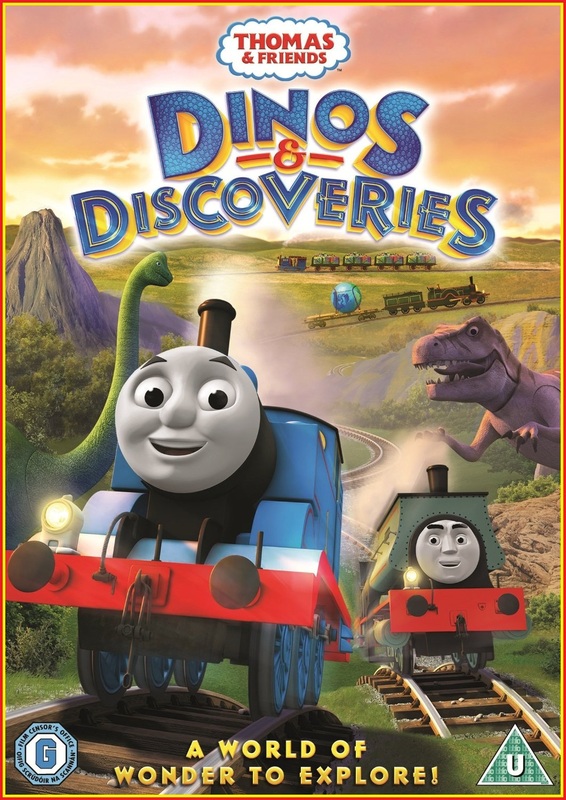 In response, this release had six episodes, all of which were re-dubbed to mention Christmas, and there was an extra DVD bundled in called Big Bang Surprise which had five extra episodes. For this "new" release though? Big Bang Surprise has been completely removed, yet the price is exactly the same price as the original. No, wait, the original is slightly cheaper, yet this offers half the content! It's pretty obvious to me that this is a blatant Christmas cash grab. 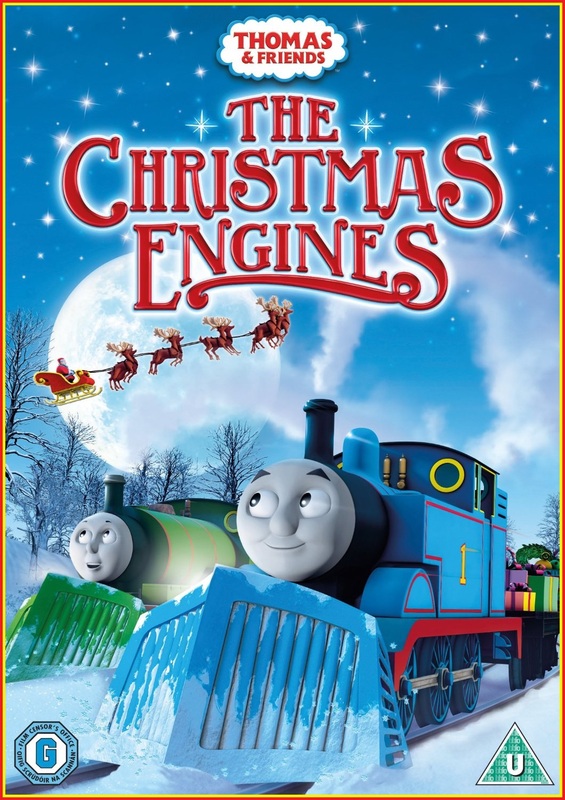 But considering they released The Christmas Engines a mere week before, and it has much better value and episodes, there's no need to get this. You can get the original for £5 or series 16 on one DVD for the same price. 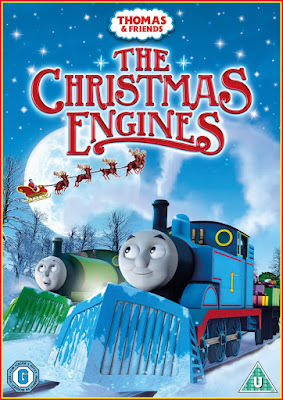 If you want a Christmas DVD, get Holiday Express from B&M Bargains, which is £3.99. Sure, it won't have CG episodes, but it's still better value than this! Stay well away from this. If I could describe every 3 DVD set that's been released here over the years in one word, it'd be this: pointless. All they do is fill up space on retailers' shelves and online stores' warehouses. It didn't particularly help that The Adventure Begins was released on the same day as this. I wonder which one they'd be more drawn towards..? 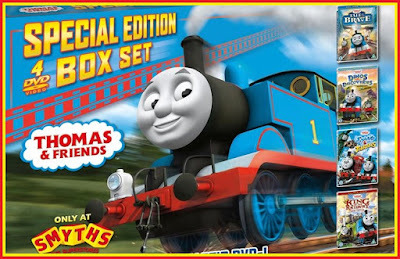 The kids that this set is targeted towards probably already have the DVDs, and even if they don't, they could get complete series DVDs for around the same price as this set is being sold for, if not cheaper. Do they have their place? They must do if more are being produced. But I'd rather HiT spend more time and effort trying to get more current US releases over here faster. Yep, I really think this little of this release. Even at £5, I wouldn't buy this if you gave me the money for it. Because out of all of the releases this year, this was by far the biggest disappointment. 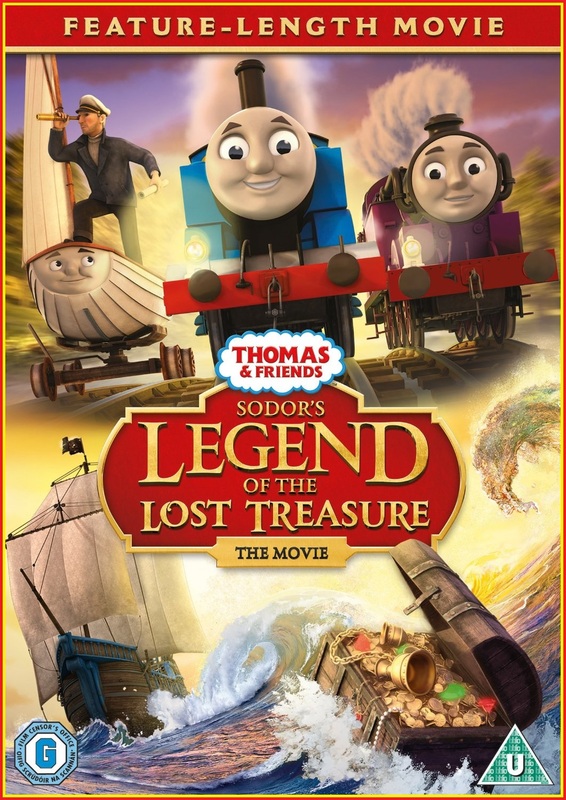 I've heard all of the excuses as to why there's a CG heavy focus on this DVD, and I don't buy any of them. If they really want to make a 20 episode release with a mix of CG episodes, I'd be perfectly fine with that. 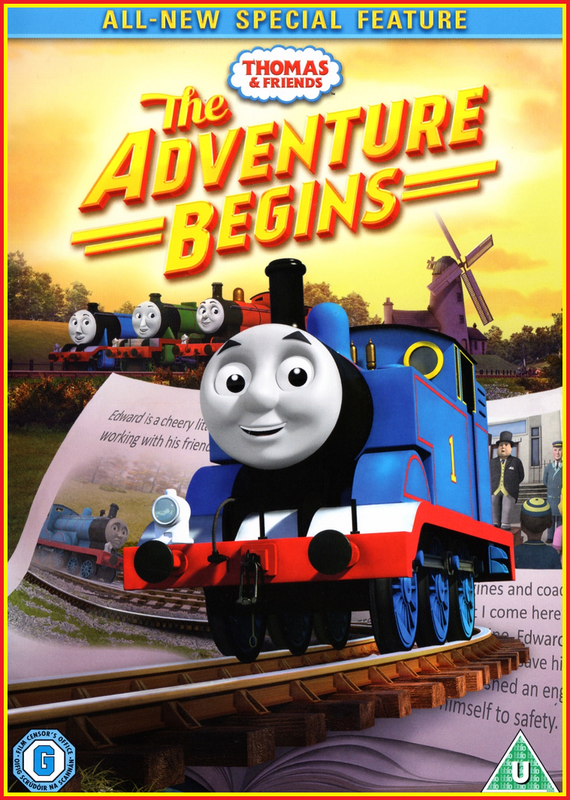 Just don't market it as a "celebration of Thomas from 1984 to the present" when you're barely going to focus on the era from 1984-2008! This may be called "1st Class Stories" but, for me, it barely registers as third class. So if I slated series 16 as the worst of the show, why is this higher than 1st Class Stories? Because you know exactly what to expect. 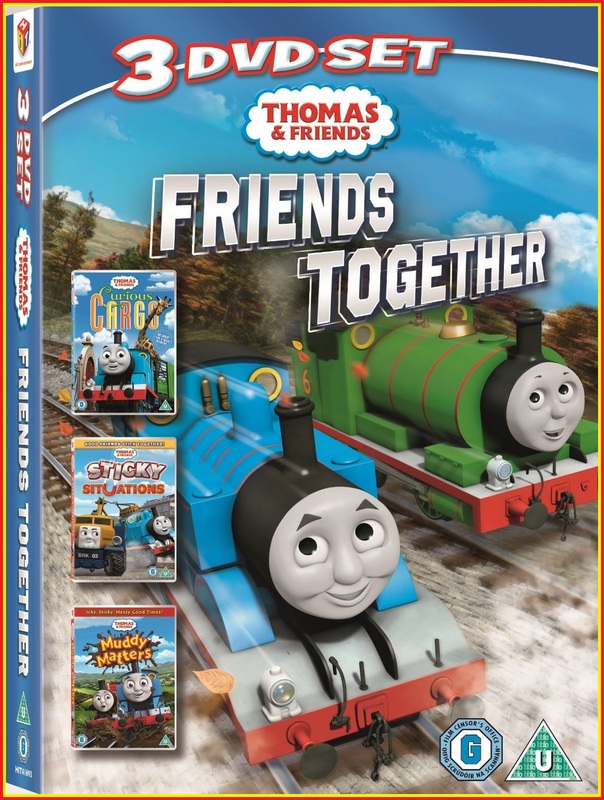 You know which episodes will be on this release, it's just a case of how much it's sold for, and I think it was sold at a very good price. That said, I think my review of it was too kind rating-wise, and I really wouldn't recommend it to anyone whatsoever. 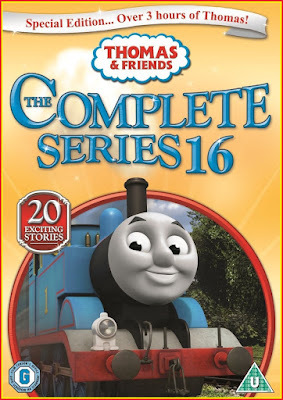 But if you really want a series 16 release, don't bother with the individual four-six episode releases, just get this. It has much better value. Out of all the box sets over the years, the best ones are the Smyths exclusives. 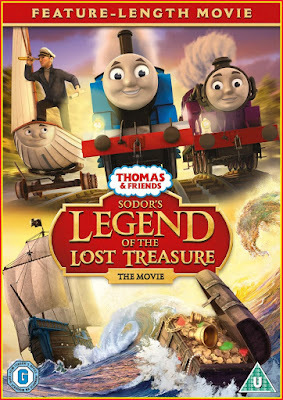 Released around October for Christmas, this features the two specials from 2013 and 14 as well as the themed 6 episode releases that were, formally, never seen on TV. At £20, the value is there, and you can get it free if you spend 40 quid on Thomas merchandise. But, sadly, it has the exact same problem as the previous box set: the kids this is targeted at probably have the DVDs separately already. Also, the DVDs are probably around £5 each anyway, so parents don't need to go to Smyths to get the set. That said, it is the easiest way to get them if you don't have them, so yeah, I'd recommend it. But only if you don't have any of the releases in the set. Series 17's DVD releases finally concluded... two years after it aired on TV. Seriously, you could easily watch these episodes on milkshake! 's site very soon after it aired, yet it took two years for them to reach a DVD?! Sure, they added two episodes compared to the US, which added value, but the fact remains that this took two years to get here. But I can't really hate it as it's still a good DVD. 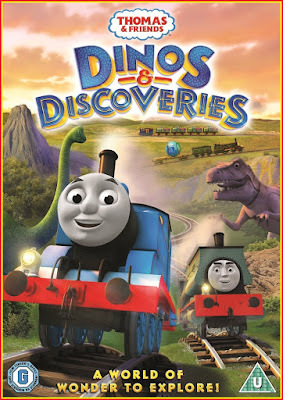 Dinos and Discoveries produced... a mixed bag as far as episodes go, but I appreciated it a lot - and still do - because the episodes that were on it were, at the time, only on that DVD. Sure, they may have made it on to TV screens now, but I still think it's held up well throughout the year. And, since my review, the price has dropped to as low as £4.50, so the value is very strong. I like this release, even now. Even if some of the content isn't as strong as the rest of series 18, it's not unwatchable in any way, shape or form. The second most recent release on the list has some of the best festive episodes in the show's history. But it's been a year between the US and UK release which, in all honesty, I've really been getting sick of. In an era where information is more readily available, HiT needs to really think about doing more to make sure that both the US and UK markets are well catered for with releases like this, because all the waiting does is boost piracy and moaning fans begging those who have the new shiny shiny to share it with the world due to the combination of impatience and the inability to get the same thing that others have. It's also, for this reason, that so many people import new US DVD releases. Regardless of that, I still think this is OK. Like I've said, the episodes are brilliant and the bonus features aren't that bad either. That has no effect how much I like this release as there were two extra episodes, and they were all really good, but it strengthens my grievances; the UK gets screwed royally with all but one of the episodic releases. I would much prefer them putting more effort into getting new releases over here faster than constant box sets and, yes, even the complete collection releases. For the last four years, the specials have been the highlight as far as DVD releases go, but this was hyped to oblivion. With weeks of cinema screenings, four performances at Cadogan Hall to music from the Royal Philharmonic and a lot of press coverage, it may have been one of the most hyped yet. In the end though, I think it deserved it as, well, it really was special. With an action packed, dramatic story, tense drama, brilliant characters and a hilarious sub-plot featuring three little engines who, had someone said five years ago that they'd be returning, I'd have laughed at them and called them delusional as I never thought it would happen for multiple reasons (that and I was a real jerk back then). Sure, it was released a tad later here compared to the US, but can we really complain when it was shown in cinemas in July? The bonus features are also a bit thin, but the special in itself was worth the cost. If this was a "last minute project", as Sam Wilkinson says (I don't disbelieve him, by the way), I'd have loved to have seen how amazing it would've been had they put more time into it. 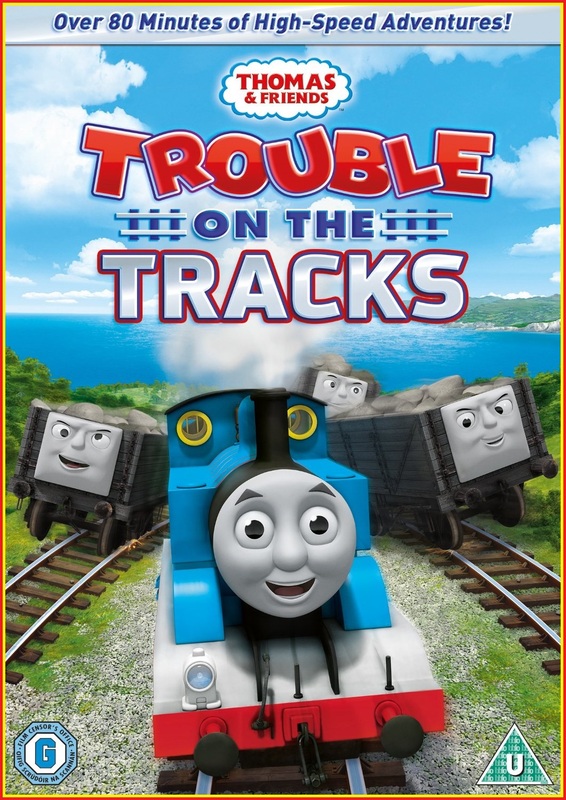 In all seriousness, this isn't just the best DVD this year, but one of HiT Entertainment's best Thomas & Friends DVDs ever. It literally has everything: a strong story with a lot of heart and character moments. It was a nice touch adding Old Reliable Edward, too. The only two drawbacks is that it was an Asda exclusive that fans had a bit of trouble finding when it launched (although demand outstripping supplies is a really good thing) and Brits had to wait four months due to red tape, meaning that some had seen it all by the time it released here. So which was your favourite and least favourite release this year? Leave me a comment below, tweet me (@ChrisTomson2013) or reply to the journal that this post will be included in on DeviantART!